100+ Milers – Running is fun…at least for a little while. 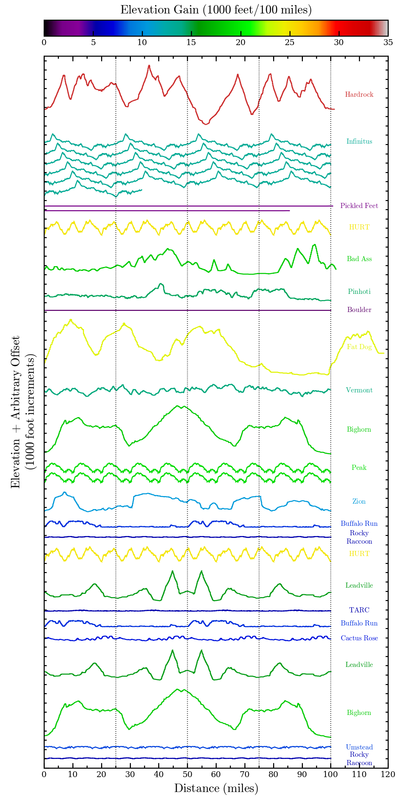 I put together this neat figure showing the elevation profiles of the 100+ milers I’ve done so far inverse chronologically from top to bottom — confused? Me too, always.